Blessed with ravishing natural beauty, Iceland’s glaciated volcanoes, towering waterfalls, and verdant sprawling landscape have attracted explorers of the land and mind (famed Arctic explorer Vilhjalmur Stefansson and Jules Verne, to name a few) since the days of early Vikings. After our successful 2012 inaugural trip, followed by an superb season in 2013, we added some more challenging climbs and training to the program for our 2014 expedition. Our 2016 trip met with high summit success. Certainly, the beauty of Iceland is enough to entice the traveler, but few climbers tackle the local peaks and venture onto the glaciers. 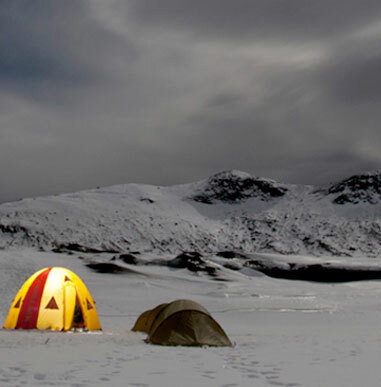 Alpine Ascents’ Iceland expedition weaves moderate glaciated climbs with hiking and cultural visits into an enchanting nine-day journey. 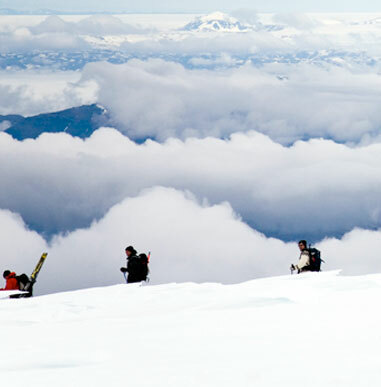 We will review climbing skills on our first glacier tour (Snæfellsjökull), making this trip appropriate for experienced and novice climbers alike. All climbs are day-climbs and we will stay in hotels each night. We will have time to explore the countryside as well as the capital, Reykjavik. 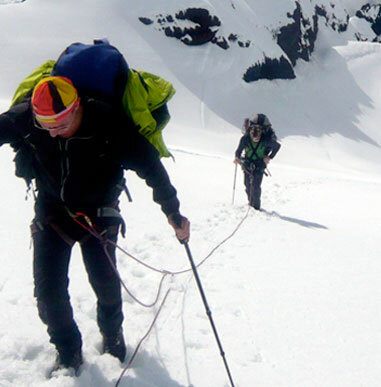 Mio & Lokey are expert mountaineers and extremely knowledgeable about the all aspects of leading climbing trips. They looked out for our safety and yet pushed us to levels we sought to achieve. Climbers should be in very good to excellent physical condition, but do not need prior experience. This is a demanding program in that we may have some long, single days (some days include eight hours of hiking; one day includes 14 hours of hiking with a 5,000-ft. elevation gain and loss).